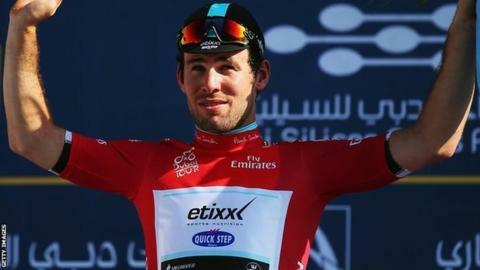 Mark Cavendish continued his excellent start to the season as he sprinted to victory in the one-day Almeria Classic race in southern Spain on Sunday. The Isle of Man rider, 29, edged out Spaniard Juan Jose Lobato and Mark Renshaw of Australia to win the 185.9km (115.51 miles) race. Cavendish, who recently took an overall victory at the won in four hours 36 minutes 19 seconds. The victory is the Etixx-QuickStep cyclist's fifth of 2015. Cavendish said: "By the time I went it was just a matter of finishing off the race for the win. It was perfect. I am super happy and proud about the way the team controlled the race the entire day. "Now we just need to keep up this team atmosphere and keep trying to win races."